Great post, love these looks! Awesome! Thanks for putting this together!! Love your blog!! Now following! I'd love for you to check out mine! hi~ I tried checking the link for 'how to get involved' but the page doesn't seem to exist anymore...? BTW, love your halloween themed shirt! Fun to spot Shea up there! A fun bunch of gals! i love ALL of these, seriously. Inspiring post! Love your room picks! That cushion is gorgeous! Love the bat shirt. So cute -- I want one!! 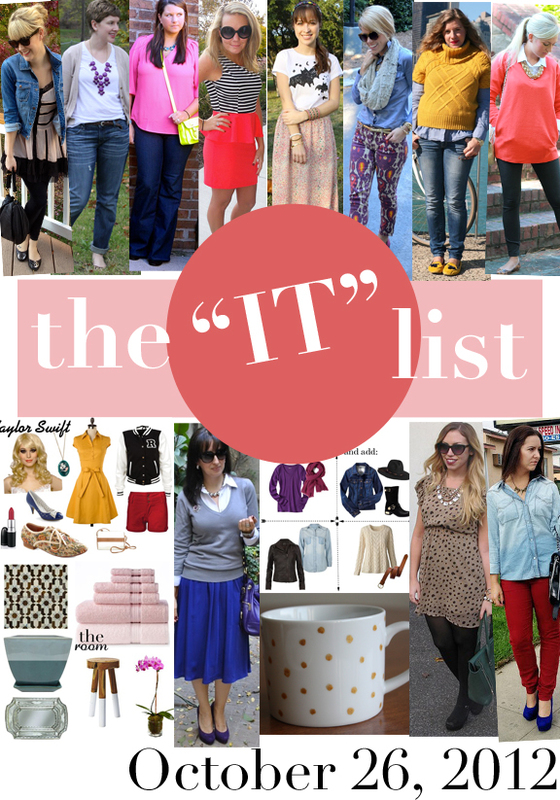 Great list of "it" bloggers! Loving all of the outfits! Really useful! Thanks for share! This is really lovely! Such bright and pretty outfits. Great post, will definitely check some of these out!